Dr. Oz, two-time Daytime Emmy® Award-winning host of the three-time Daytime Emmy® Award-winning “The Dr. Oz Show,” is Vice-Chair and Professor of Surgery at Columbia University. He directs the Cardiovascular Institute and Complementary Medicine Program at New York Presbyterian Hospital. His research interests include heart replacement surgery, minimally invasive cardiac surgery, complementary medicine and health care policy. He has authored over 400 original publications, book chapters, and medical books, has received several patents, and performs more than 100 heart surgeries per year. Dr. Oz was born in Cleveland, Ohio, raised in Delaware, received his undergraduate degree from Harvard University (1982) and obtained a joint MD and MBA (1986) from the University of Pennsylvania School of Medicine and Wharton Business School. He lives in Northern New Jersey with his wife Lisa of 26 years and their four children, Daphne, Arabella, Zoe and Oliver. Previously, Dr. Oz was a featured health expert on “The Oprah Winfrey Show” for over five seasons, spanning 55 episodes. In addition to regular appearances on the “Today” show, he has also been featured on “Good Morning America,” “Larry King Live,” “The View,” “Piers Morgan Tonight,” guest-hosted the “Charlie Rose” show and appeared on all the evening news broadcasts. He also served as medical director of Denzel Washington’s “John Q” and participated in several other feature films. 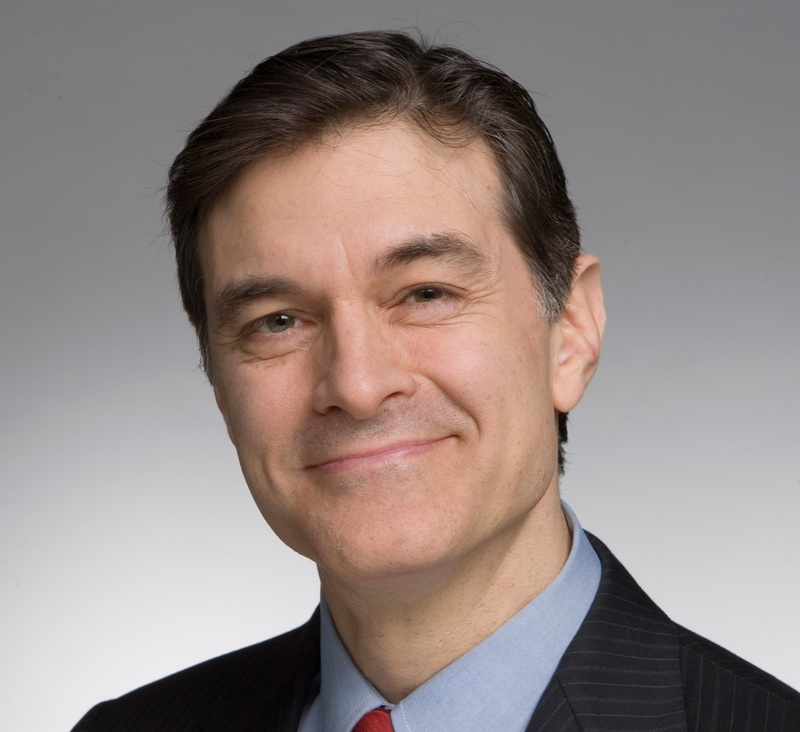 Dr. Oz authored seven New York Times Best Sellers, including “You: The Owner’s Manual,” “You: The Smart Patient,” “YOU: On a Diet,” “YOU: Staying Young,” “YOU: Being Beautiful,” “YOU: Having a Baby,” “YOU: The Owner’s Manual for Teens,” as well as the award-winning “Healing from the Heart.” He has a regular column in O, The Oprah Magazine, Time and AARP, and his article “Retool, Reboot, and Rebuild” for Esquire magazine was awarded the 2009 National Magazine Award for Personal Service. In addition to belonging to every major professional society for heart surgeons, Dr. Oz was named Forbes’ #3 most influential celebrity (2010-2011), has been honored as one of Time magazine’s 100 Most Influential People (2008), Esquire magazine’s 75 Most Influential People of the 21st Century and a Global Leader of Tomorrow by the World Economic Forum (1999-2004). He has also won the prestigious Gross Surgical Research Scholarship, received an honorary doctorate from Istanbul University and was voted a “Doctor of the Year” by Hippocrates magazine.